Help your business flourish with our Flower Border business card design template, an impressive design that's an impeccable choice for floral designers, wedding planners, landscapers, and even winemakers. The front features elegant lettering with your business name and information framed by vining floral displays. The back highlights your name and contact information. Five color scheme choices and four available edge styles make it easy to print custom business cards that match your business' character. 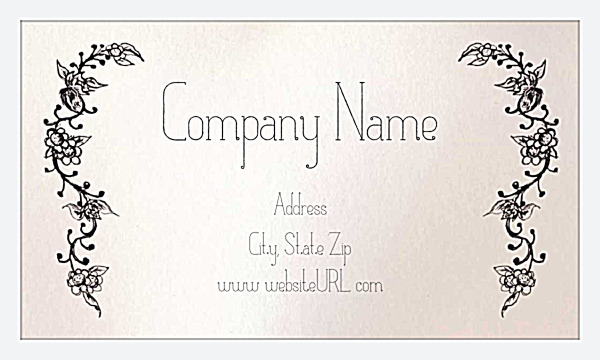 Customize Flower Border with your own text and contact information, creating business cards that are unique and that will appeal to potential customers. 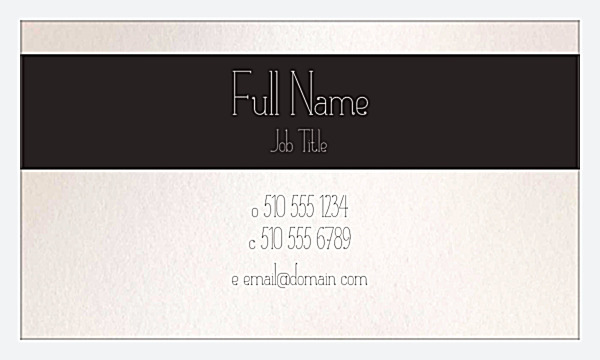 Give life to your professional business cards by using our online design tool to create an affordable, unique look. Just point-and-click to pick your color scheme, edge preference, font, and add personalized text. Choose your printing options and you’re ready to check out. Your custom business cards will arrive at your door in just a few days! Meanwhile, download a free PDF of your design to share. Partner with PsPrint to meet your business card printing needs. We are fast, affordable, user-friendly, and use only the highest quality paper stock and vivid soy-based inks. In addition, we offer a customer satisfaction guarantee so you can be positive that you will be pleased with your final product!